LPUSA TEAM GP clip-ons not only look awesome, they exceed rider expectations with the latest manufacturing technology and competitive pricing!. Lpusa was the first to produce all carbon bars in the 90's and the newest features are now available. Team GP clip-ons offer unmatched craftsmanship, superior functionality, and the best materials. Team GP clip-ons have the best cosmetic design with high performance capabilities. 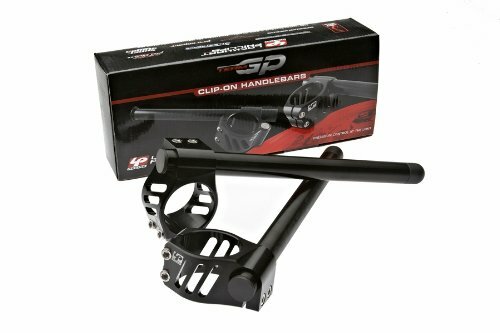 Team Gp clip-ons designs are available in carbon/aluminum or aluminum tube bars. The clip-on mount is offered in solid or clamp style for quick installation. precision machined solid clamp design. If you have any questions about this product by Team GP, contact us by completing and submitting the form below. If you are looking for a specif part number, please include it with your message.